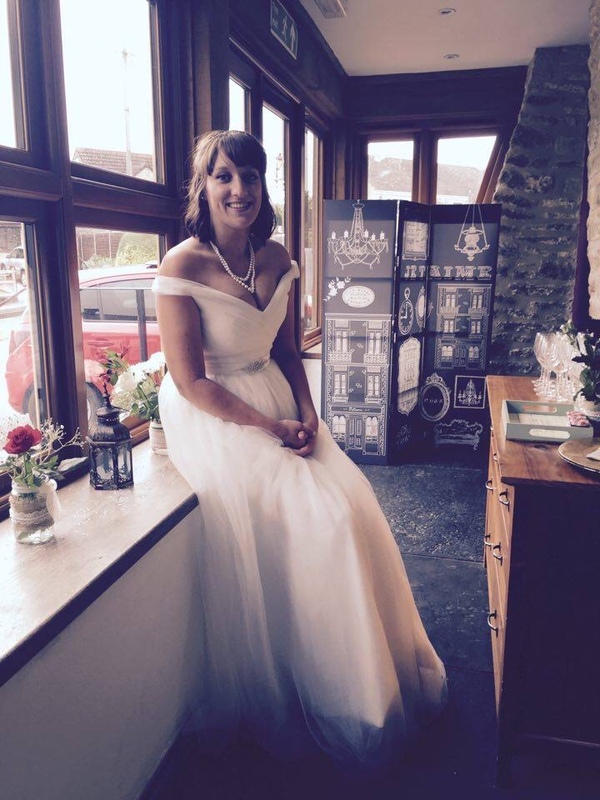 This week’s Behind the Bride is with Sarah, of Whimsical Mumblings. Hi Sarah, first of all, congratulations on your marriage! When was the big day? Thank you! We got married on 27th August 2016! It was a beautiful sunny day! It’s not some beautifully romantic, rom-com inspired story I’m afraid. We had heard about each other from mutual friends but we never actually met. Then one drunk friday night we bumped into each other at our local pub! I introduced myself, and that was that! He moved in with me fairly soon after that and we’ve been together ever since! My husband proposed to me via a beautifully romantic card, with the ring inside. We aren’t the most romantic people so I would have been a bit embarrased with a full blown proposal anyway I think – but I thought this was really sweet. We got married in a little church, in a quiant little village 5 minutes away from where we live. Although we arent particularly religious, I always envisioned getting married in a church. It was perfect. We didn’t have a specific theme, but it was very shabby chic/floral/pastel colours. Just lots of pretty bunting, lanterns and hearts! I have a couple. Sorry! Although the entire day was really lovely, I enjoyed every single second of it. My first favourite memory was actually walking down the aisle, and walking back out down the aisle. As I walked in, the song that we played was ‘You’re my best friend’ by Queen. It just put a massive smile on my face the second the song started. Our walking out song was ‘You make my dreams come true’ by Hall & Oakes and it’s just such a fun, happy song! The whole day was kind of surreal, especially the actual ceremony itself but my husband and I had a little moment together after the church and I’ll never forget it. We walked up the hill from the church, to the reception and my husband and I just snuck off and said to each other – “We’re married! You’re my Husband! You’re my Wife! I can’t believe it! I love you!” It was just a really sweet moment between both of us. Ahaha. Yes, it wasn’t really anything that wen’t wrong per se, but what with everything going on throughout the day, and the fact we didn’t really have a sit down meal – just a buffet, when it came to the evening I realised I hadn’t tried any of the food myself and it had all gone! It didn’t really matter at all though, but it was a bit silly! Make sure you stop for a few minutes and take a moment with your husband. The day will go by so fast, trust me. Good advice there, Sarah! The day goes so fast, make sure you enjoy every moment. If you’d like to take part in the Behind the Bride series, please get in touch via email.